If you’re itching to shed that old, embarrassing Yahoo username in favor of something a little more age appropriate, we’ve got good news. Mayer and Co. have just opened up a wish list to request inactive usernames. Plug in your five moniker requests (in order of preference) by August 7th, and if you’re first in line for an account that hasn’t been used in over a year, it’ll be yours by the middle of the month. Once the search giant sends a message to your inbox, simply click the included link within 48 hours and the re-purposed account will be yours. After the initial period, folks will be able to add usernames to a watch list, and will be alerted when they become available. Worried that password recovery messages sent from other services to reused addresses could be a security issue? Yahoo is too. Yahoo just released its mixed Q2 earnings, and a few sentences may have given the answer everyone was waiting for – yes, Yahoo still has plenty of cash to pursue more acquisitions. Evidence of this lies in the company’s share buyback program. 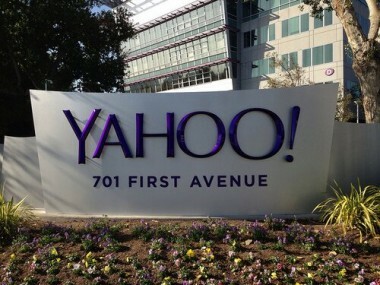 “During the second quarter of 2013 Yahoo repurchased 25 million shares for $653 million,” one can read in the release. Those are part of a bigger $5 billion program. These shares can be reissued and sold for cold cash any day. Back in September 2012, Marissa Mayer decided to sell 40 percent of Yahoo’s stake in Alibaba for $7.6 billion. $3.65 billion was set aside to reinvest in Yahoo shares, proving that the company is confident in its own future. “We are happy to announce that as of today we have essentially completed our commitment to return $3.65 billion from our Alibaba Group proceeds to shareholders, repurchasing a total of 190 million shares,” wrote CFO Ken Goldman in today’s earnings release.